Corundum leaves little speculation as to why it has remained a highly sought after mineral for eons—one look at the spectacular array of sapphires and rubies belonging to this mineral group will explain the centuries old crave for it. The two main varieties of corundum are, as mentioned, sapphires and rubies. While red corundum specifically describes rubies, the iconic blue and any other colour of corundum describes sapphires. Ranking a 9 on the Mohs scale, corundum is especially hard, with only diamond boasting a higher hardness. Other than corundum’s captivating colours, it can be considered corundum’s hardness that jewelry-buyers adore—able to withstand high polish, corundum often displays a glossy, reflective finish. As well as having no planes of cleavage, corundum members are perfect for almost any piece of custom-made jewelry, becoming breathtaking in any number of fine-crafted designs. Furthermore, some corundum can also show a characteristic called ‘asterism’, which comes from the greek word ‘aster’, meaning star. Asterism in corundum is an optical phenomenon that reflects a star-shaped band of light upon the gem, varying in brilliance according to the angle of which the light shines upon it. 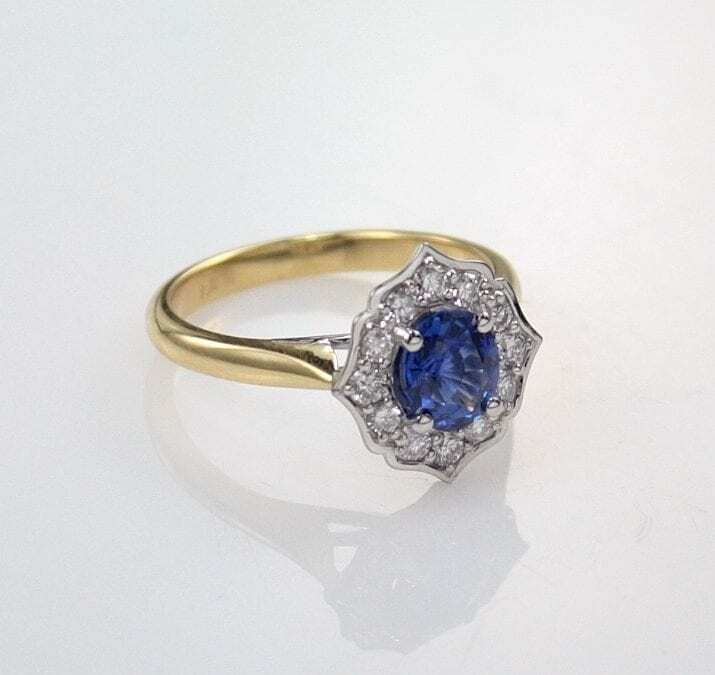 The inclusions that cause this enchanting effect occur most commonly in both sapphires and rubies, making corundum ever the more prized to those who know of its potential. So known for this effect, corundum members displaying this optical phenomenon are commercially called ‘star sapphires’ or ‘star rubies’. Corundum truly makes a captivating jewellery piece, from its hard nature to the gorgeous colour array of its varieties. From the beautiful deep reds of rubies, owing to its presence of chromium, and the rich blues of sapphires, due to the trace elements of either iron or titanium, corundum remains one of the most beloved minerals in history. But corundum can occur in a whole plethora of colours, known as fancy colour sapphires—ranging from pinks, yellows and oranges, corundum’s brilliance is well-suited for any piece bespoke jewellery.